The word “legend” is thrown around pretty lightly these days. But what makes a legend? In my opinion, it takes time. 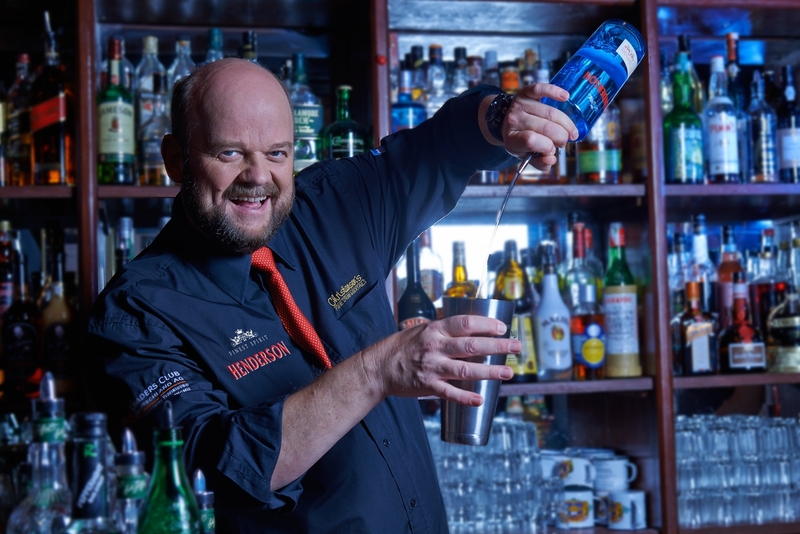 And Uwe Christiansen is one of those bartenders who not only has been doing incredible things in his career, he’s been doing them for much, much longer than most. Uwe began his hospitality career back in 1983, working internationally everywhere from South Africa, to Greece, to cruise ships like the Queen Elizabeth II. But in 1991 he settled down back in Hamburg, Germany and began a long stint at the legendary Angie's Nightclub in the Reeperbahn. After six years at one of the craziest bars in Germany, Uwe finally opened his own bar, Christiansen's Fine Drinks & Cocktails in St. Pauli, Hamburg in 1997. And from there his career really takes off. Keep in mind that this is well before the cocktail renaissance we're currently enjoying today. That's what a revolutionary Uwe is. In 2003 he opened a discotheque. In 2006 he consulted on the Imp Bar in Shanghai. In 2009 he opened a tiki bar. He has an event space in the Reeperbahn that regularly hosts up to 20,000 people. He consults on new products for Lufthansa and Pusser's Navy Rum. He has his own line of liqueurs. He even has a gin. Uwe is a member of the exclusive Leaders Club, a European association of selected innovative restaurateurs. He is on the jury of international spirits competitions, writes for several magazines, and has published three books. And in his free time he lives at the Hamburg fish market, rides a motorbike, and works on old cars when he can. Even writing about what he does makes me fatigued. As an example of Uwe's legendary career, think about the first time you heard about the Singapore Sling. For me, it was in the late 1990s. For many reading this, it was probably sometime in the past decade. But way back in 1986, Uwe was posted up at the bar at the Raffles Hotel in Singapore, tipping the bartender and pressuring him for the exact measures of the Singapore Sling. After a lot of money and a lot of pressure, the bartender eventually acquiesced and copied the recipe for Uwe straight out of the recipe book at the Long Bar. Which is an amazing thought to me, that Uwe was so far ahead of the curve that he was genuinely interested in one of the most classic Cherry Heering cocktails, so interested in fact, that he sought out the recipe from the bar that originally created it. That's dedication. Uwe is passionate about this stuff, and has been passionate about it for so long that it's easy to forget that. The year that Uwe selected is a testament to this: 1984, the year he first began behind the bar. The bar was Charlie Parker's in Sea Point, Cape Town, South Africa. 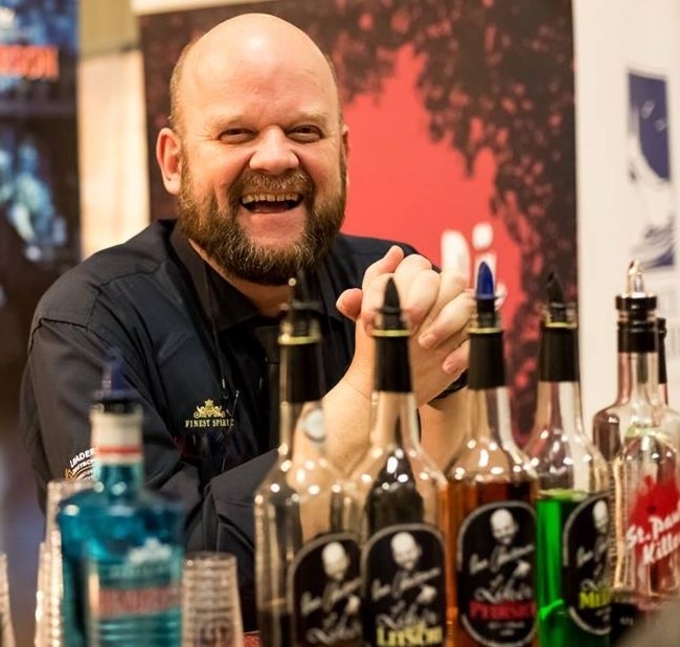 For Uwe, it was a turning point in his career from supermarket manager to bartender, his first experience with Cherry Heering, and the beginning of a long and prosperous career. The drink is called Red and White... Dynamite, an ode to the regional soccer fans. And since the North of Germany is so close to Denmark, the cocktail calls for aquavit. Uwe wanted to create a cocktail than anyone can mix at home, a unisex drink, a drink that celebrated everything about home and his history with the place. 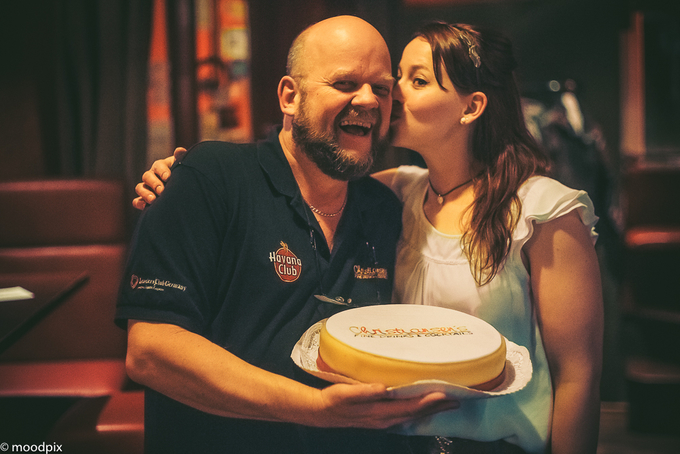 And that pretty much sums up Uwe: He's a classic, a product of Hamburg, and dedicated to pushing the boundaries while still keeping an eye on tradition and delivering a good time to his guests. A good measure of Cherry Heering is mixed with a touch of Danish aquavit, white creme de cacao, and fresh lime juice. The drink is then shaken hard with ice cubes, and strained over crushed ice in an antique glass. 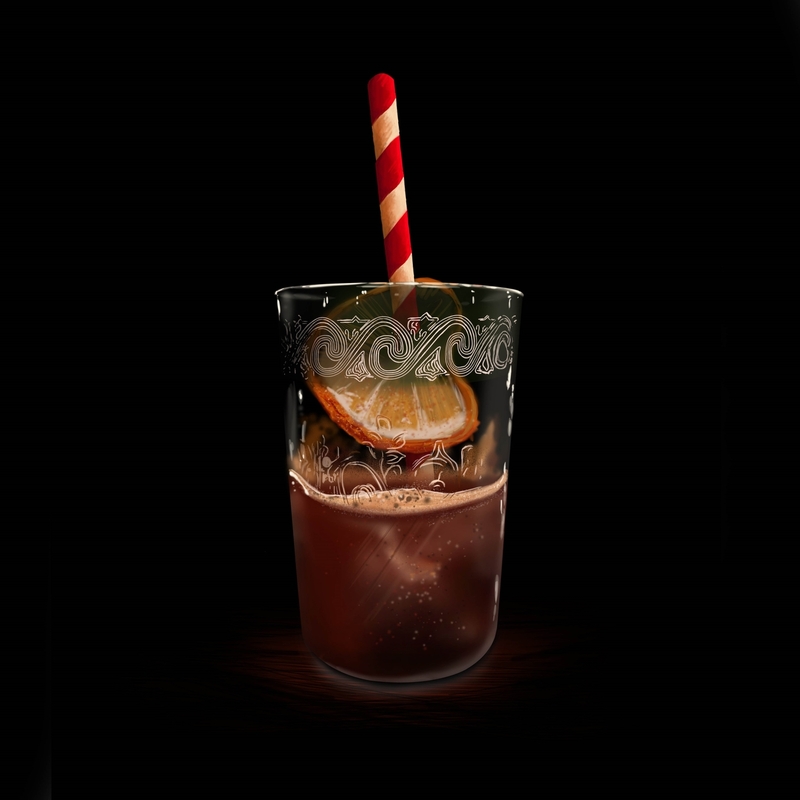 The cocktail is garnished with a dried orange and a cherry, and then the whole thing is finished with a red and white paper straw. Red and White... Dynamite! I'm lucky to know Uwe, and I have such great admiration for the man that has been a leader in our industry for decades. Let's all raise a class to him and celebrate the fact that he'll be doing this for many more decades to come. Method: Shake all ingredients with ice and strain into glass filled with crushed ice.